So, details to follow on these projects very soon. 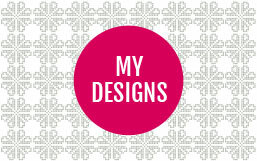 But for now, here’s just a little teaser….. So nice to see you again Lovely color up there, can’t wait for the details. Hurray! You are back! That looks such a great pile of knitting. Hooray! You’re back! I can’t wait to hear the details on those fabulous knits up there. That pile of knitting looks scrumptious and I’m so happy that you have been fitting it in, look forward to hearing all the details. Hoorah! So pleased to see you back, knitting and all. And I think you have been engaging in some serious fair isle work! Looking forward to the details! Welcome back! Good to see you back! 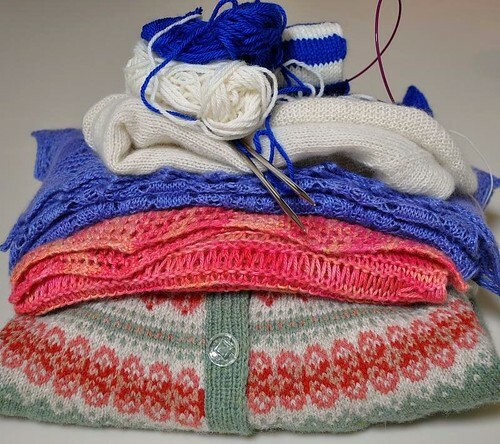 The grey and pink Fair Isle looks utterly charming – looking forward to hearing about that in particular! Hooray! Can’t wait to hear all about what you’ve been up to lately. I’ve been wondering how you were! So nice to see you back – and look at tht fair isle – wow! I’m glad your back. I missed your posts! 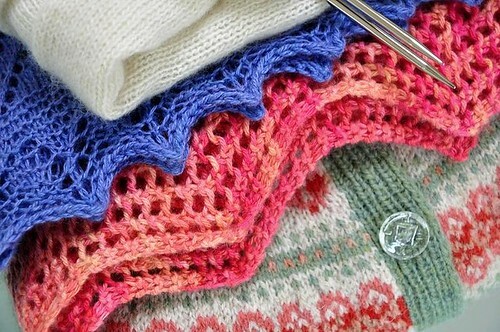 Love the cardi, you can’t beat a nice bit of fair isle! It’s nice to see a post from you again, and with such lovely teasers! Looking forward to the details. Good to hear from you again. Looks like some lovely knitted goodness! Yea!!!!! Can’t wait to see details! Gorgeous! The sweater is amazing. Ooh!! The edge of whatever the blue thingy is calling my name. What is it? What is it? No fair teasing then hiding out for three days.